Today, antidepressants are some of the most popular drugs in the United States. In fact, 13% of people aged 12 and above take some form of antidepressant. These drugs treat depression and other conditions such as anxiety. But, companies are doing more research into the use of alternative medicine to treat some of these conditions. 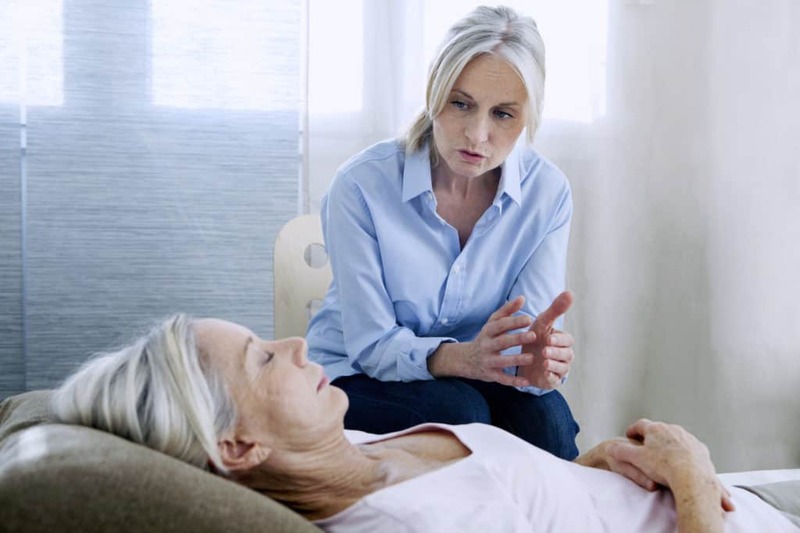 Hypnotherapy for anxiety is becoming more and more popular. And, clear evidence is showing that it can address various unhealthy emotional patterns. Keep reading to learn more about hypnotherapy and how it can help with emotional distress. Hypnosis for anxiety taps into the subconscious mind. Instead of telling you what to do, a hypnotherapist will try and change your feelings about what you do. The goal is to help you come to your own conclusions so that you can feel at peace with the actions you do or don’t take. A trance state is a state of physical and emotional relaxation. It is a time where your conscious mind takes a break and allows your subconscious to kick in. Hypnotists separate the conscious and subconscious mind because they have different functions. The conscious mind is the part that handles what you say and do. The subconscious is in charge of your emotions and beliefs. Therapists perform hypnotherapy treatment in calm environments. As a patient, you will be lying down and guided to a state of relaxation. This environment is one of the key reasons why hypnosis for anxiety has proven to be so effective. Physical and emotional tension often go hand in hand. Hypnotherapy will help you change the way you feel about the triggers that cause this tension. Additionally, you may feel these because of frequent anxiety. These constant feelings of stress can drain you of energy and affect your mood. Hypnosis for anxiety can help put you in a more positive frame of mind. The process will help you turn negative feelings into more productive ones. This, in turn, will help you learn the right coping mechanisms for your anxiety. Because anxiety can cause muscle spasms and erratic thoughts, anxious people can also suffer from sleep disorders. With the first method, the hypnotherapist will work to make you feel as if you have had a normal and restful night’s sleep. This may take more than one session but should increase your energy levels and also reduce your anxiety. The second method goes straight to the root of the problem. Instead of targeting your sleep, the hypnotherapist will help alter the feelings that are stopping you from sleeping in the first place. People with phobias can take medication to treat the anxiety that comes with their fears. If the phobia is severe, you may not leave your house, causing further anxiety, and in time, depression. Hypnotherapy can help get rid of phobias once and for all. The therapist will aim to discover the root of the problem. Then, they’ll converse with your subconscious to rewire your thought process. The process can take as little as 30 days. Plus, if you choose a hypnotherapist that records the sessions, you can work on conquering your fears at home as well. People with gastrointestinal problems such as Irritable Bowel Syndrome (IBS) have a tendency to catastrophize situations. All the above can affect a person’s day-to-day. In severe cases, people stop leaving their home in fear of a ‘flare up’. This can lead to anxiety and depression. And, this anxiety can cause stress-induced IBS, thus creating a vicious circle. Hypnotherapy for depression and anxiety can help by altering the anxious thought patterns. With time, you’ll have all the necessary coping mechanisms. The treatment may also reduce your physical symptoms by tapping into the subconscious. There are few drawbacks to hypnotherapy. This type of treatment is not dangerous. And, unlike what you see in films, a therapist can’t brainwash you to do something you don’t want to. That said, hypnotherapy is not for everyone. This type of therapy isn’t for people with psychotic symptoms. It’s also not appropriate for people with severe psychiatric conditions. For example, bipolar and schizophrenia. While there is such as thing as hypnotherapy for depression, in severe cases, you should seek medical advice. Hypnotism uses the placebo effect to change your beliefs to help heal your body and soul. Because the brain is the most powerful organ in the human body, rewiring it can have a positive domino effect on the rest of our body. Anxiety can cause a variety of health issues, both physical and mental. It can also worsen medical conditions such as IBS, heart problems, and pain. Hypnotherapy for anxiety reduces stress. It also rewires the mind to cope with day-to-day situations that you feel uncomfortable with. To find out more about the various conditions hypnotherapy can help with, visit my blog today. In it, you’ll find everything from hypnosis for memory, phobias, weight loss, and more. This entry was posted in Clinical Hypnosis and tagged Clinical Hypnotherapy, hypnotherapy.